A boutique, contemporary yet historic hotel develops a unique approach. Brand Identity, Paper Goods, Applications, Marketing. 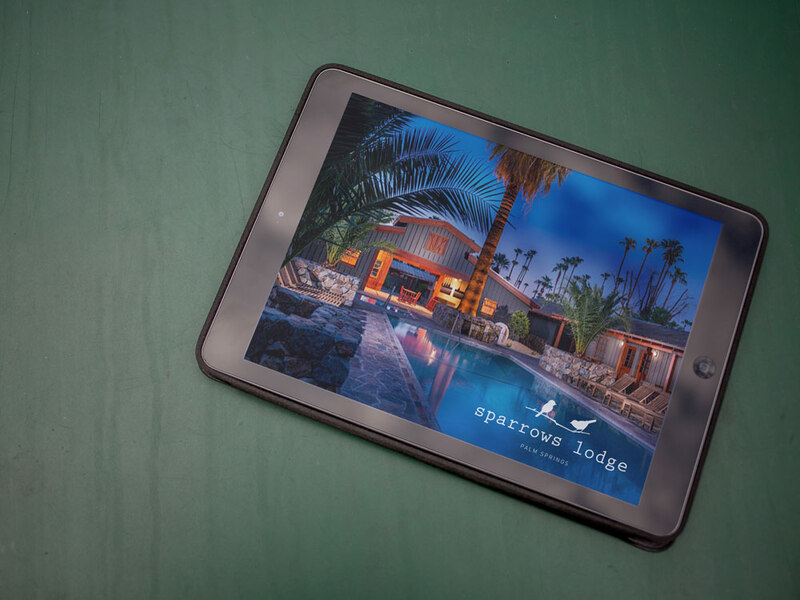 Set in a historic vintage 1950’s getaway for the Hollywood elite, Sparrow Lodge combines a down-home, rustic vibe with a modern chic aesthetic. The 20 room hotel, restaurant, and bar has no phones or televisions, allowing guests to slip into the environment with ease and simplicity. The lodge was fully restored in 2013 and many of the original buildings are still in use with modern updates retaining the vintage charm of the original Red Barn hotel owned by MGM actor Don Castle.